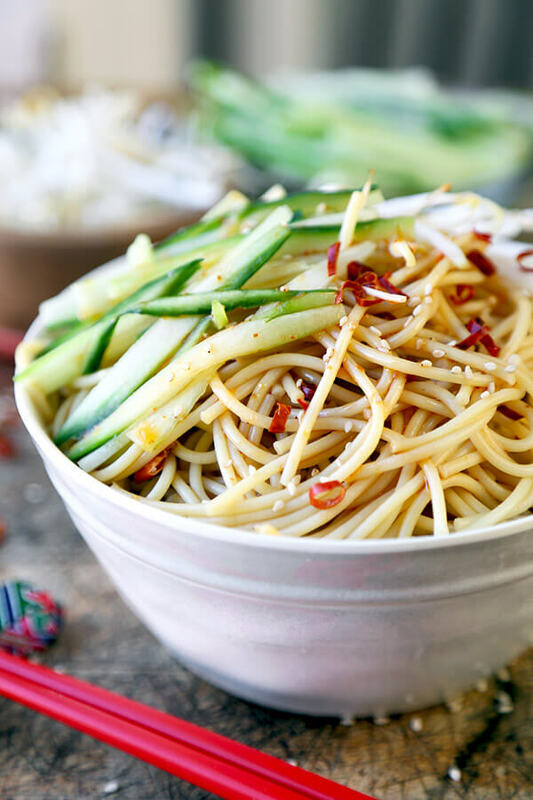 This is a quick and easy, spicy and nutty cold Asian noodle salad your whole family will love! Perfect for a barbecue or as a light lunch or dinner + ready in just 15 minutes! 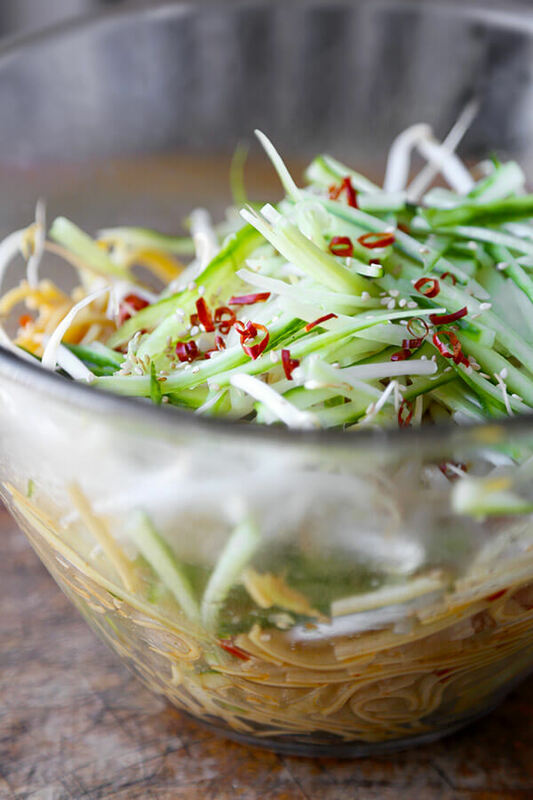 A cold Asian noodle salad is something I crave every time it’s sunny and warm outside. I like the simplicity of it and how clean and refreshing the flavors are. It’s also very versatile; you can substitute cucumber for other vegetables such as carrots and/or red bell peppers, make it meatier by adding mushrooms or tofu, or bring out the summer flavors even more with a squeeze of lemon or by topping it with a few slices of oranges. 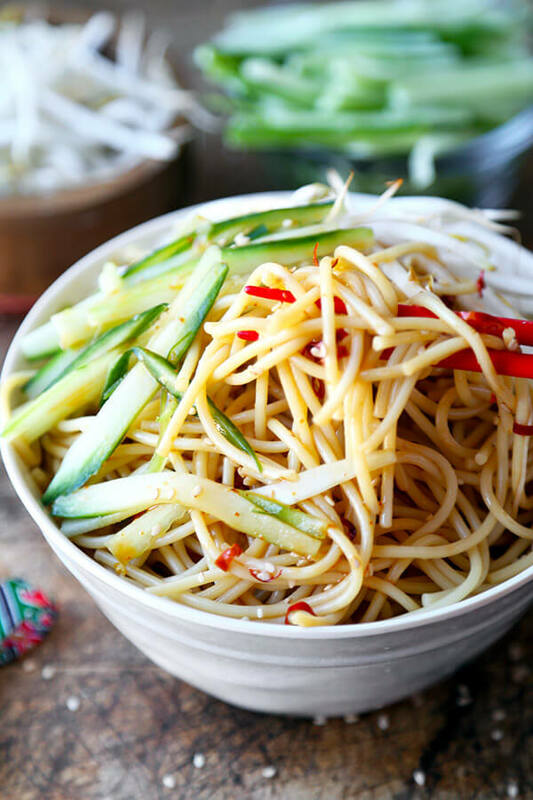 The hot, sour, nutty and sweet sauce pairs splendidly with smoky dried red chiles, making this chilled Asian noodle salad nomtastic! You can make the dressing ahead of time and keep it refrigerated. 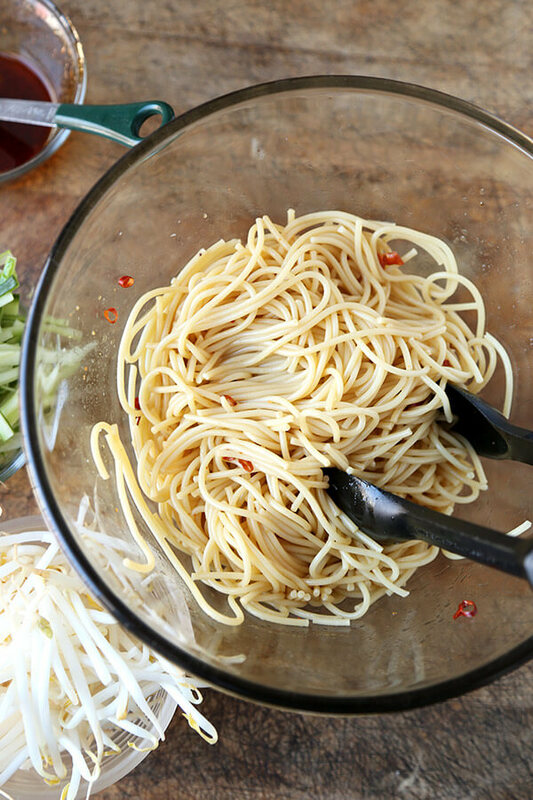 You can also make the entire Asian noodle salad ahead of time, but I would recommend adding more dressing than the recipe calls for since the noodles will soak up a lot of the flavor. Keep extra sauce on the side. 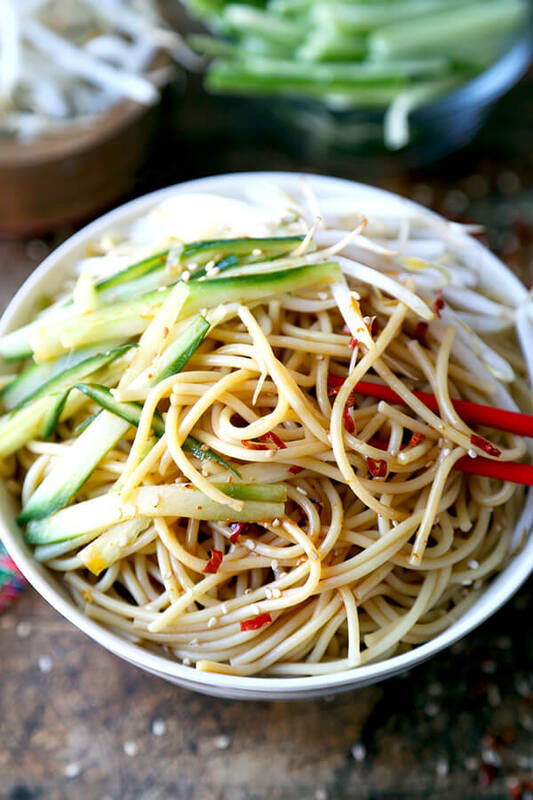 Did you like this Cold Asian Noodle Salad Recipe? Are there changes you made that you would like to share? Share your tips and recommendations in the comments section below! Put all the ingredients in a bowl and mix well. Set aside. Bring a pot of water to boil and cook the noodles according to the instructions on the package. Drain, rinse under cold water and drain well. 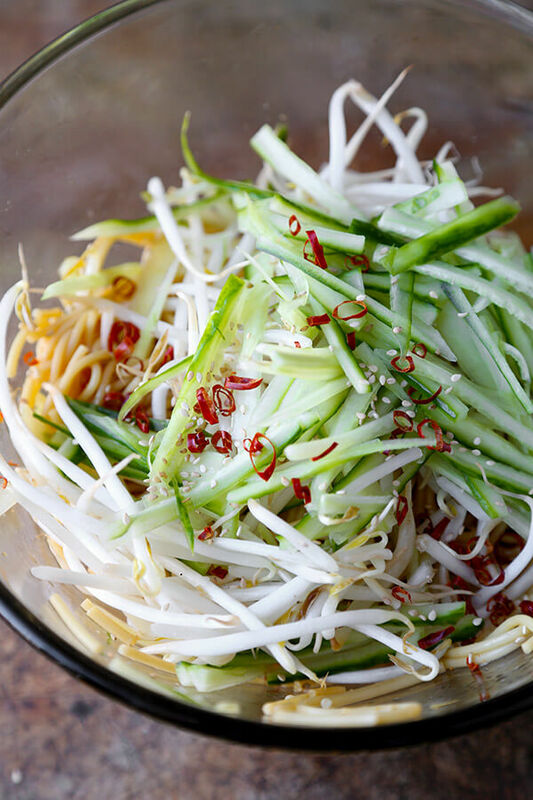 Transfer noodles to a large bowl and add cucumber, bean sprouts and dressing. Toss well, season with salt and serve. 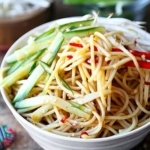 How much of the Thai chilies should be used for this recipe? I am making it tomorrow for Mother’s Day. 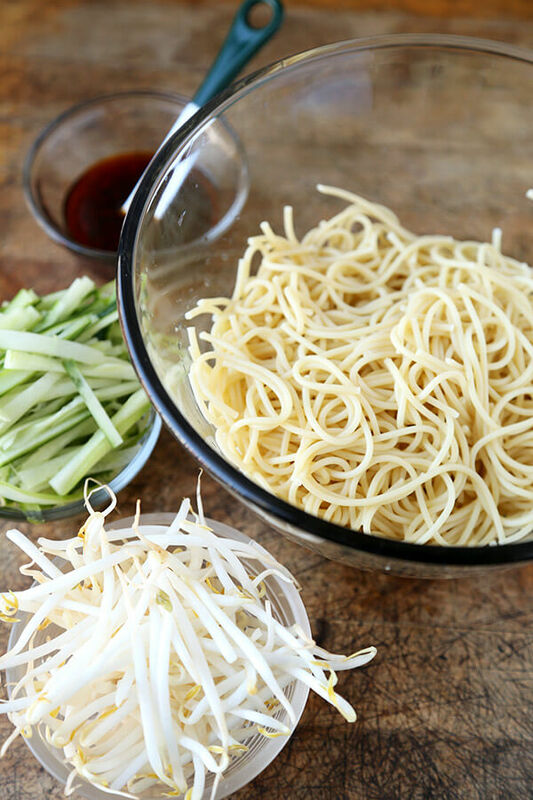 Using soba noodles instead of regular. 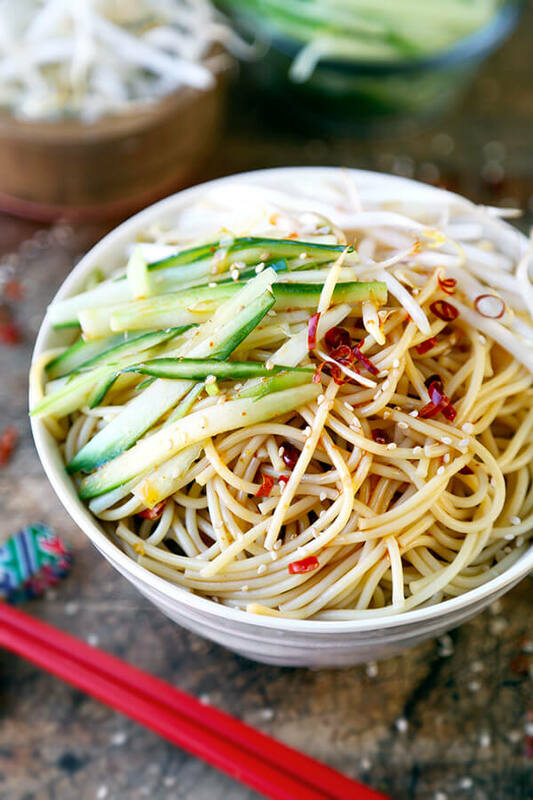 I’m using Chinese dried red chile for this recipe but you can substitute it with 1 Thai chile.